Electric rectifier substation east (GUW Ost) of th BBG Ltd.
You're here: Main page > 4.3. Period from 1966 to 1989 > Electric rectifier substation east (GUW Ost) of th BBG Ltd. 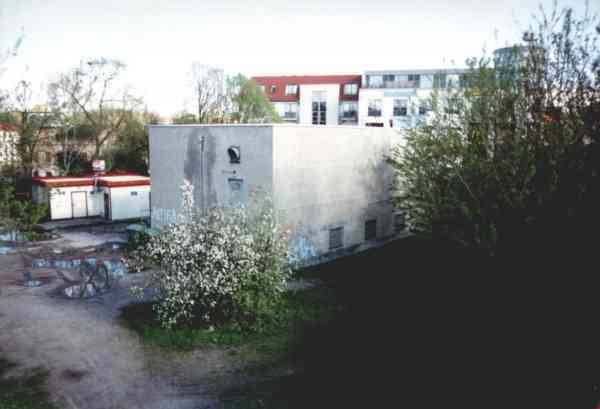 The electric rectifier substation east (GUW Ost) is located to the east of the crossing Eisenbahnstraße/Breite Straße. It was taken in service in June 1985. Here a photo of the electric rectifier substation east (GUW Ost).